HEAVY losses in the banking stocks undermined the performance of the stock market, leading to loss of 0.31 percent in the All Share Index, ASI, last week. The losses was heavier in Fidelity Bank Plc, which released its 2018 full year financial statement on Friday, showing 3.8 percent increase in gross earnings to N188.9 billion and 30.6 percent growth in pre-tax profit to N25.09 billion in the previous year. 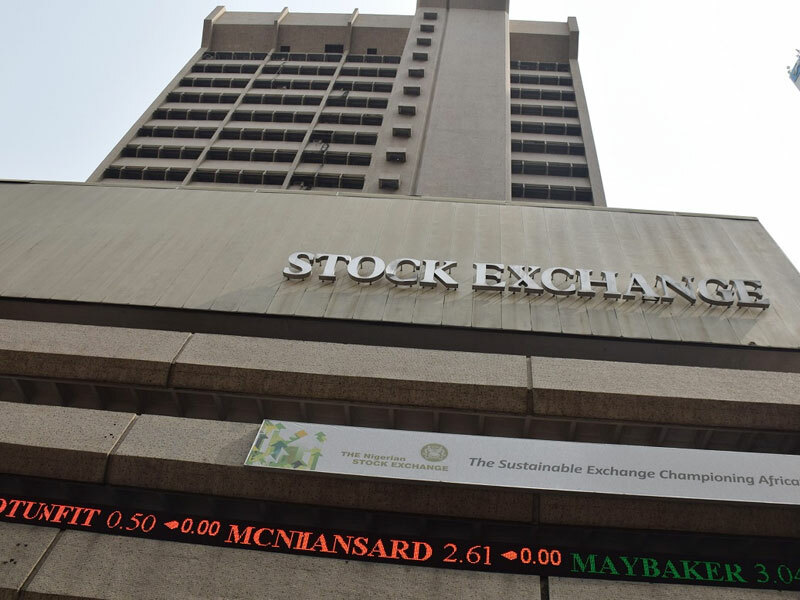 Despite the positive financial performance, investors’ reaction to the result was negative as the bank’s shares fell by 13.08 percent to close at N2.06. This, in addition to losses in five other banks – Access Bank (-5.84%), FCMB Group Plc (-5.58%), Guaranty Trust Bank Plc (-3.87%) Jaiz Bank (-1.89%) and United bank for Africa (-1.28%) – led to 2.84 percent decline in the banking sector, biggest loser in the sectorial performance chart, and 0.31 percent decline in ASI. Nigerian Stock Exchange According to operators, the bearish performance was dragged not just by the sell-offs on stocks in the banking sector but the industrial goods sector, which also declined by 2.42 percent during the week. Meanwhile, after closing in the red for the third week in a row, analysts have said that the market would record a mixed performance with a positive tilt this week. Breakdown of transactions last week showed that activities in terms of volume and value traded was fairly upbeat as transaction volumes and value increased by 119.52 percent and 4.60 percent to 2.63 billion shares and N12.79 billion respectively. However, total deals declined by 14.95 percent to 15,553 deals.